Amy Sherman-Palladino’s Marvelous Mrs Maisel is about a Jewish mother who explores her passions by becoming a comedian. 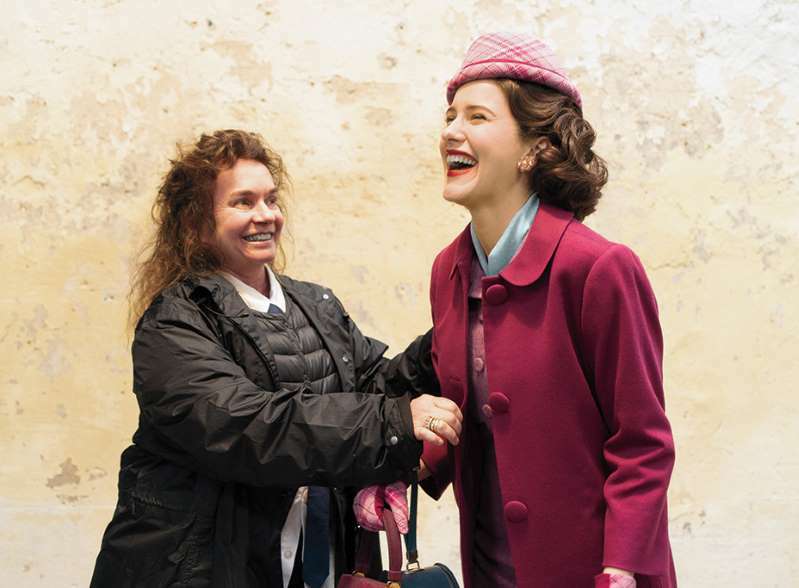 The show uses 1950s fashion throughout the plot using colours and patterns to express both the glamour and austerity found in the post-war period. The 1950s costumes create an authentic portrayal of this time period, and illustrates Midge’s emotional journey as well. Zakowska looked to 1950s fashion icons Audrey Hepburn’s dress for season one and Grace Kelly for season two. In the first-season finale, Maisel masters her comic set at the Gaslight wearing a chic bow dress with matching evening gloves. “Once she wore that black dress with the pearls, she would be herself and be a performer,” Zakowska told Hollywood Reporter. For Season 2, creating the principals’ clothing necessitated a staff of 25 cutters and seamstresses and a prep time of 12 weeks. Zakowska also designs 85 percent of the hats. She also hunts vintage bags and shoes online and even sourced a woman in France to make period-accurate undergarments. This is on top of dressing 5,000 extras. Watch The Marvellous Mrs Maisel here now. 2018 The Costume Rag. All rights reserved.